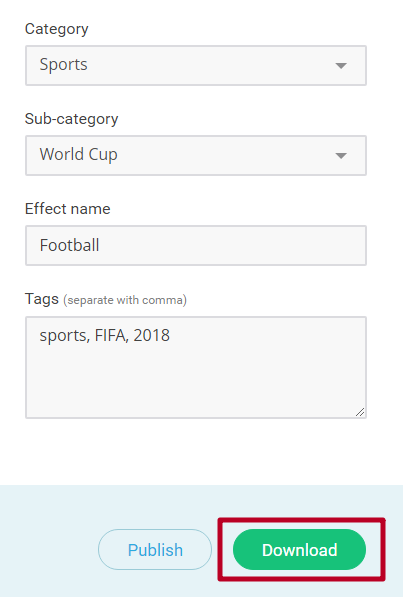 Select Category and Sub-category for your effect. Fill the “Effect name” field and press the Download button to use your effect instantly. By pressing the green Download button, you don’t publish your effect on our website. Instead, it goes straight to your hard drive.